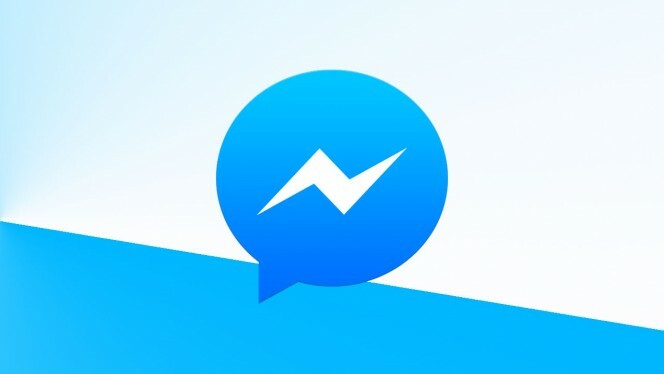 Facebook never followed the Google design guidelines whether it is their Facebook App or Messenger but today we are talking about Messenger that got a new theme material design as many readers have reported promptly. 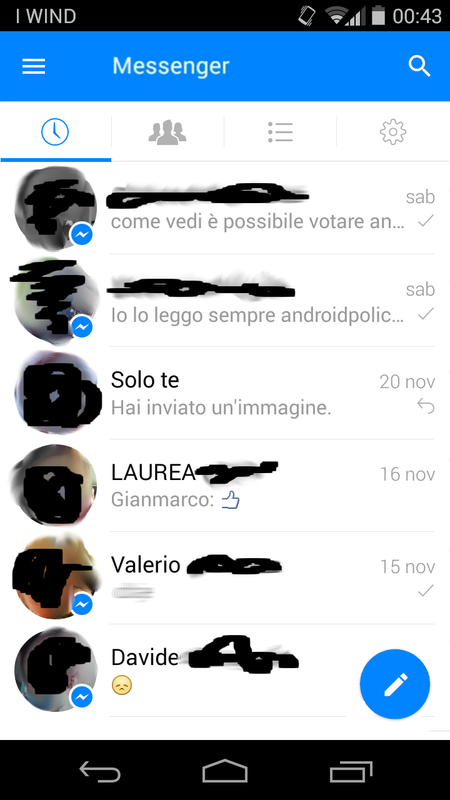 Update : Folks at Android Next indicate that the screenshot of Facebook Messenger is not real. That the screenshot is fake proves picture below. The floating button is clear (bad) cut and pasted. It could be that the screenshot is a mock-up, but we believe that after seeing the following evidence is still far from the case. As you can see in the screenshot, the application structure has remained unchanged, however, adopting a real action bar complete with a navigation drawer instead of the bottom bar also the FAB (Floating Action Bar at bottom right). If you are running Lollipop, you should see the status bar also colored blue. At present it is unclear whether the users of the beta or stable version of those to have received the update (we didn't got either version) then let us know in the comments and also give us your impressions about.